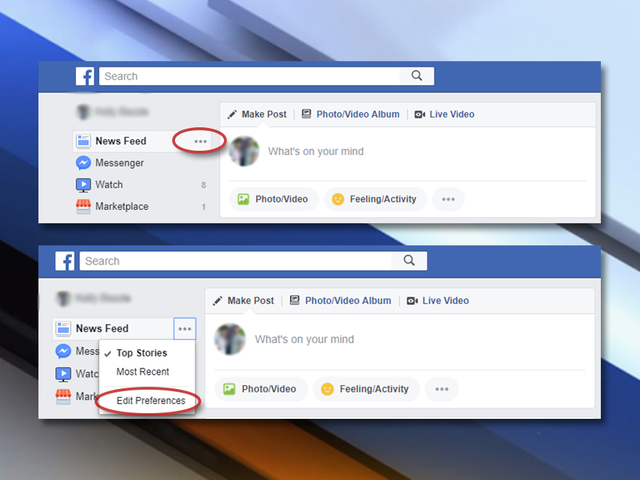 TAMPA, Fla. -- Facebook is making some big changes to your news feed and you may notice the chances in the coming weeks. They want to make sure you have more interactions with your friends and family and see less content from businesses, the media and big brands. This includes your local news source ABC Action News. Facebook CEO Mark Zuckerberg made the announcement on his Facebook page earlier this month as a sort of New Years Resolution for the social network. "Since there's more public content than posts from your friends and family, the balance of what's in News Feed has shifted away from the most important thing Facebook can do -- help us connect with each other," Zuckerberg said. These changes could keep you from seeing local news and major headlines that could affect your family and your community. This new effort by Facebook will reportedly not affect advertisements and users will continue to see the same ads they have seen before on the social network. 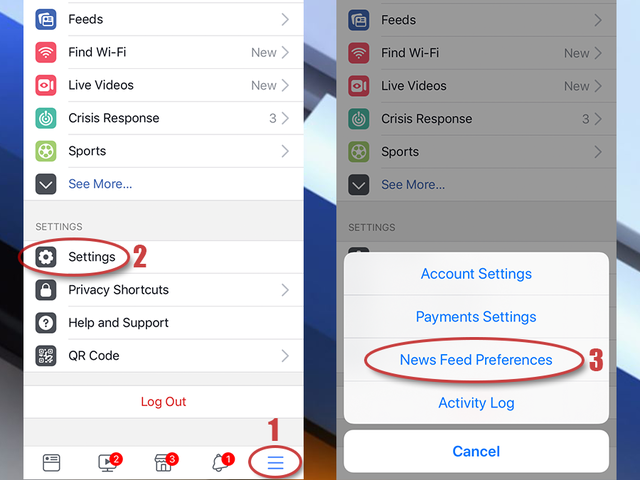 Moral of the story, if you want to stay connected to the news that affects you, your family and your community, make sure you set your News Feed Preferences to show ABC Action News in your feed. You can also download the ABC Action News app for iOS or Android . Make sure you're signed up to receive push alerts and you will be in the know as breaking news happens around you. 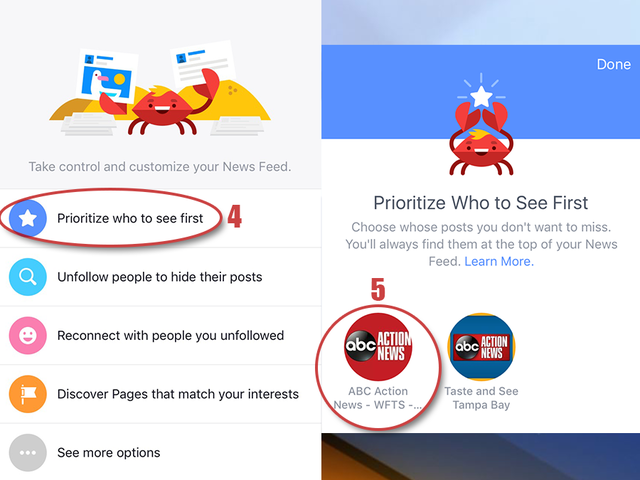 Scroll down and click "Settings"
A pop up menu will show up, click on "News Feed Preferences"
A new window will open, click "Prioritize who to see first"
Click the option to "Edit Preferences"
A window will pop up, click on "Prioritize who to see first"
Kelly Bazzle is the Digital Executive Producer for ABC Action News. Follow her on Twitter .